BMW's showcase for the 2015 Frankfurt Motor Show includes plug-in hybrid variants of some of their cars. Some of these should make their way to India soon enough. Here's what you can expect to see. The 2016 7 Series will host an array of new features. It will get BMW's latest engines, and also a plug-in hybrid system in the BMW 740e variant. BMW's Executive Drive Pro active chassis system, the Driving Experience Control switch with an adaptive mode, and BMW Laserlight are also featured in the updated 7 Series. The Executive Lounge feature will provide the passengers with a massage function, a panorama glass roof and a smartphone holder with wireless charging station. Apart from that, the new 7 Series' iDrive system will feature a touch display and gesture control while the rear end of the cabin gets a touch command system to adjust comfort and infotainment settings. As for the driving aids, the car gets a heads-up display, crossing traffic warning, steering and lane control assist, active side collision protection and a surround view system with 3D view and panorama View. (Read our review of the 2016 BMW 7 Series for more). The second generation X1 has been redesigned both inside and out. BMW claims a more spacious cabin for the passengers and more room for luggage. The X1 will run new power plants in both petrol and diesel guises. It will also feature an optimised version of BMW's all-wheel-drive xDrive system. The features list on the new X1 includes full-LED headlights, Dynamic Damper Control, a heads-up and a Driving Assistant Plus system. Click here for more details on the 2016 X1. The new 3 Series gets a slight facelift along with a new engine line-up to keep up with the times. The new power plants include four petrol and seven diesel variants. Depending on the engine, the car will be offered in a rear-wheel drive version or with the all-wheel-drive xDrive system. The line-up will also feature a plug-in hybrid in the 330e guise. This plug-in hybrid 3 Series will produce 252PS from its power units, while returning a claimed fuel economy of 47.6-52.6kmpl. The plug-in hybrid version of the BMW 2 Series Active Tourer features BMW's eDrive technology in its turbo-charged 1.5-litre three cylinder engine. According to BMW, the car can be driven on full-electric mode for up to 41km. The hybrid system powers the rear wheels using an electric motor while the front wheels are powered by the engine which, in a way, makes it an all-wheel-drive vehicle. The 225xe makes 224PS and has a claimed efficiency of 47.6-50kmpl. 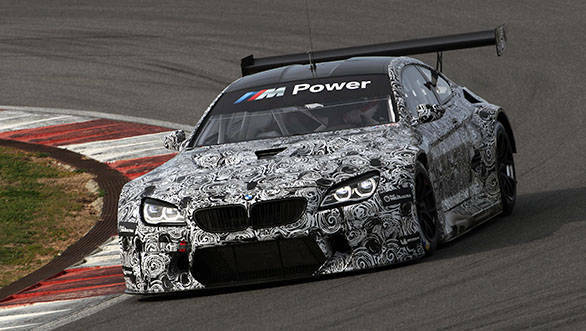 The BMW M6 GT3 that was recently spotted under camouflage, will finally debut at Frankfurt. Built for endurance racing, the GT3 will line-up at the grid in 2016. The car will use a V8 engine with BMW's M TwinPower turbo enclosed in a carbon fibre-reinforced plastic (CFRP) outer skin. Besides the M6 GT3, BMW's M division will also showcase the M6 Competition Edition which features special exterior paint schemes, CFRP components, new leather upholstery and other touches to help distinguish it. The 4.4-litre V8 petrol with the M TwinPower Turbo technology will make 600PS and 700Nm and when ordered with the optional Driver's Package, it will hit a claimed top speed of 305kmph. BMW will also showcase its latest technology featured in the latest models. These would include BMW's Laserlight and ConnectedDrive. 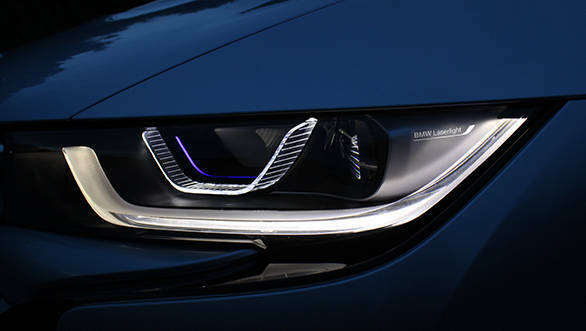 The Laserlight technology, which first debuted on the BMW i8, is now being made available on the new 7 Series. 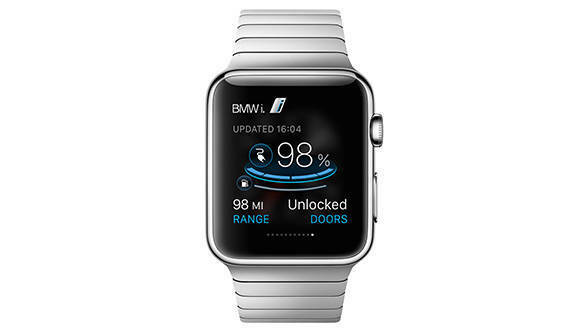 BMW's ConnectedDrive system allows the owner to sync his car with gadgets like smartphones and smartwatches. This technology which will debut on the new 7 Series, includes a new ConnectedDrive App, a BMW Remote Cockpit, a Wifi hotspot, automatic navigation map updates, smart home integration and remote control parking, among other features. BMW i will showcase their innovations for everyday charging at home and in public locations. The latest one being the BMW i Light and Charge, a street light that can be used to charge the high-voltage battery of an electric car. The eDrive technology which was first developed for the BMW i8 and i3 are now available in the other cars mentioned earlier and also in the BMW X5 xDrive40e that will be on display at the show. BMW at the IAA Cars 2015 in Frankfurt. 03.09.2015 The BMW stand at the 2015 International Motor Show in Frankfurt am Main revolves around the arrival of a new generation at the top end of the model line-up and the advent of a wide range of plug-in hybrid models. Hall 11, which is located right next to the main entrance of the Frankfurt exhibition site and has been made available for the joint presentation by the BMW, MINI and Rolls-Royce brands, is where all the latest features and additions are being showcased. The entire exhibition area is surrounded by a circuit several hundred metres in length, where the public can experience the new models in action from 1927 September 2015. 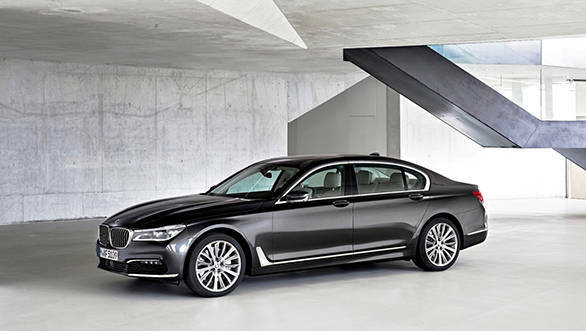 Automotive luxury of the highest order: the new BMW 7 Series. The new BMW 7 Series underlines its claim to redefine what an exclusive, luxurious driving experience looks like in contemporary, pioneering form with an exceptional array of innovations. Key factors in enhancing dynamics, efficiency, comfort and safety while on the move are the use of carbon-fibre-reinforced plastic (CFRP) in the body structure, engines from the BMW Group's new generation of power units, the plug-in hybrid system in the new BMW 740e, the Executive Drive Pro active chassis system, the Driving Experience Control switch with ADAPTIVE mode, and BMW Laserlight. Maximising well-being in the interior, meanwhile, are the Executive Lounge feature with massage function, the illuminated Sky Lounge Panorama glass roof, just the right amount of accent lighting and a smartphone holder with inductive charging station. The new generation of the BMW 7 Series also boasts standout innovations when it comes to operating system and driver assistance technology. The various new features that are unprecedented in the luxury sedan segment include, for example, the extension of the iDrive system to include a touch display and BMW gesture control, Touch Command for controlling comfort and infotainment functions in the rear compartment, as well as a Remote Control Parking system. In addition to all this, BMW is also presenting the latest generation of the BMW Head-Up Display, Crossing traffic warning, the Steering and lane control assistant, active side collision protection and the Surround View system with 3D View and Panorama View in its new flagship model. Urban all-rounder that has grown in character: the new BMW X1. 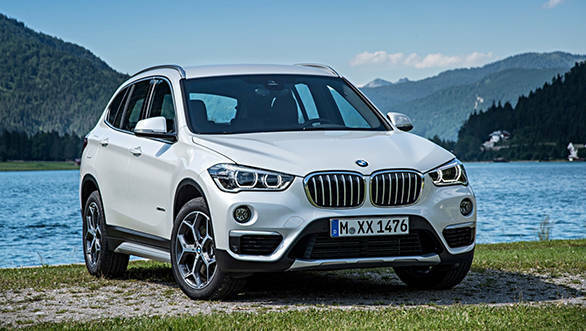 The second generation of the BMW X1 successfully transfers the trademark qualities of a Sports Activity Vehicle to the compact segment with greater intensity than ever. The new edition of this highly popular model makes its mark with powerful proportions and clean lines in the style of its larger BMW X siblings. Inside, the new BMW X1 offers far more space for both passengers and luggage, a state-of-the-art premium ambience and sophisticated functionality. Petrol and diesel engines from the BMW Group's latest generation of power units, an efficiency-optimised version of the BMW xDrive intelligent all-wheel-drive system and newly developed chassis technology combine to produce a notable increase in sportiness and ride comfort along with far greater efficiency. Equipment features available for the BMW X1 for the first time include full-LED headlights, Dynamic Damper Control, the BMW Head-Up Display that projects driving-related information onto the windscreen as in the larger BMW X models, as well as the Driving Assistant Plus system. Top seller in top shape: the new BMW 3 Series. Featuring a meticulously honed design on the outside, a painstakingly refined premium feel on the inside, a revised engine line-up, a more advanced chassis and additional equipment options, the new BMW 3 Series is perfectly poised to continue an unbroken run of success in the premium mid-size segment that first started four decades ago. The BMW brand's most popular model range with over 14 million already sold to date once again sets new standards for dynamism, efficiency and design in both BMW 3 Series Sedan and BMW 3 Series Touring guise. The choice of engines for the new BMW 3 Series comprises four petrol and seven diesel units at market launch. Depending on the particular engine variant, power is transferred via traditional rear-wheel drive or, alternatively, via the BMW xDrive intelligent all-wheel-drive system. 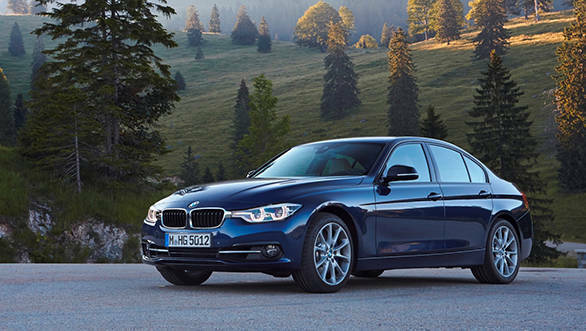 The BMW 330e Sedan will furthermore be added to the line-up for the 2016 model year. This plug-in hybrid marries BMW eDrive technology with a four-cylinder petrol unit from the BMW Group's newest engine generation. While extracting a total system output of 185 kW/252 hp from its duo of power units, the BMW 330e returns average fuel consumption (combined) of 2.11.9 litres/100 km (134.5148.7 mpg imp) and CO2 emissions (combined) of 4944 g/km (in the EU test cycle). Versatile interior layout, groundbreaking drive system: the new BMW 225xe. 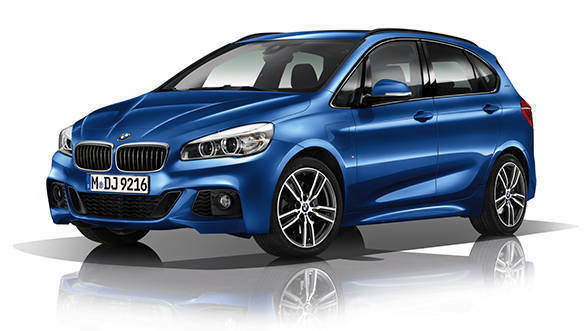 The model range for the BMW 2 Series Active Tourer is also set to be expanded by the arrival of a plug-in hybrid variant in spring 2016. The BMW 225xe serves up a brand new cocktail of BMW EfficientDynamics, comfort, fun at the wheel and all-wheel-drive performance. What's more, this matchless driving experience is combined with impressive versatility and generous levels of space in a compact-sized vehicle. The space-saving location of the lithium-ion battery underneath the rear bench means that full use can continue to be made of the boot space above. The interaction between BMW eDrive technology and a 1.5-litre three-cylinder petrol engine with BMW TwinPower Turbo technology makes it possible to enjoy both all-electric driving and unrestricted motoring mobility in the BMW 225xe. With a maximum electric range of 41 kilometres (25 miles), zero-local-emission driving can be experienced not just in the city, but beyond it too. Driving the rear wheels with the electric motor and the front wheels with the combustion engine's power furthermore produces an electrified all-wheel-drive system that is quite unique in the BMW 225xe's segment and promises outstanding traction in all weathers, especially in adverse conditions. The plug-in hybrid drive has an overall system output of 165 kW/224 hp. Average fuel consumption (combined) in the BMW 225xe is a frugal 2.12.0 litres/100 km (134.5141.2 mpg imp), which equates to CO2 emissions (combined) of 4946 g/km (in the EU test cycle). BMW EfficientDynamics: BMW eDrive technology paves the way for electric driving pleasure in four plug-in hybrid models from BMW. The introduction of BMW eDrive technology in BMW brand models opens up all-electric motoring with zero local emissions to new target groups. Coinciding with the world premiere of the new BMW 7 Series, the plug-in hybrid variant of the luxury sedan, the BMW 740e, is also being unveiled. The BMW 330e with plug-in hybrid drive is being added to the model line-up for the new BMW 3 Series. And it will also be possible to sample the pleasure of all-electric driving with zero local emissions in the BMW 2 Series Active Tourer in future  with the BMW 225xe. This means that, together with the soon-to-be-launched BMW X5 xDrive40e also on display at the 2015 Frankfurt Motor Show, the BMW eDrive technology initially developed for BMW i cars will already be available for BMW models spanning four different vehicle segments in 2016. New performance athlete for endurance racing: the BMW M6 GT3. BMW Motorsport has chosen the 2015 Frankfurt Motor Show as the setting for the world premiere of the new flagship model in the BMW customer racing range: the BMW M6 GT3 has been built for endurance racing and will make its debut on the starting grid in the 2016 season. The racing car designed on the basis of the BMW M6 Coupe is powered by a V8 engine with M TwinPower Turbo technology that has only undergone minor modifications for competition and comes with an aerodynamically optimised chassis. Crash structures and an outer skin made from carbon-fibre-reinforced plastic (CFRP) help to keep the overall vehicle weight below 1,300 kilograms. Besides the BMW M6 GT3, BMW M GmbH is also showcasing its latest range-topping model offering the ultimate in dynamic, road-going performance at the 2015 Frankfurt Motor Show. The new BMW M6 Competition Edition underlines its status as a yet more individual version of the high-performance coupe with a choice of special exterior paint finishes, components manufactured from high-tech CFRP, exclusive leather upholstery with coordinated contrast stitching, and more distinctive touches besides. The new special edition model is available exclusively in the guise of the BMW M6 Coupe in conjunction with the Competition Package that has been geared for supreme performance. This gives the 4.4-litre V8 petrol engine with M TwinPower Turbo technology an output of 441 kW/600 hp and a peak torque of 700 Nm (516 lb-ft), and when combined with the optional Driver's Package allows the BMW M6 Coupe to reach a top speed of 305 km/h (190 mph). Cutting-edge lighting technology: BMW Laserlight, expressive interior and peripheral lighting. BMW makes systematic and successful use of cutting-edge lighting technology in order to increase safety when driving in the dark and to mould a signature brand look. The latest innovations in this field are being presented at the 2015 Frankfurt Motor Show. Following on from their world premiere in the BMW i8, the exceptionally powerful BMW Laserlight headlights with anti-dazzle High Beam Assistant are now being made available for the new BMW 7 Series too. The development of lighting technology for the interior of BMW models and the immediate surrounding area never stops advancing either. In the new BMW 7 Series range, a precisely configured lighting design adds to the cabin's exclusive feel. BMW ConnectedDrive with new applications and systems. BMW has translated the latest advances in the field of intelligent connectivity into a further increase in the wealth of driver assistance systems and applications that enhance comfort and safety. The latest additions to the BMW ConnectedDrive portfolio include the new BMW ConnectedDrive App, the BMW Remote Cockpit, the super-fast WiFi hotspot, automatic navigation map updates, smart home integration, as well as Remote Control Parking and other highly sophisticated driver assistance systems making their debut in the new BMW 7 Series. BMW i: trailblazer for electric driving pleasure and everyday usability. Following the successful global launch of the purely electrically powered BMW i3 (energy consumption combined: 12.9 kWh; CO2 emissions combined: 0 g/km) and the BMW i8 plug-in hybrid sports car (fuel consumption combined: 2.1 l/100 km / 134.5 mpg imp; CO2 emissions combined: 49 g/km) the BMW i brand is now further cementing its status as a trailblazer for sustainable mobility with a growing variety of vehicle and mobility services. BMW i is already the brand to have won most awards during its introductory phase in the history of motoring. The inclusion of the BMW i3 in the model fleets of the premium car-sharing service, DriveNow, in the United Kingdom, Germany and Denmark now offers the wider public an easy, low-cost way of trying out electric mobility for the first time. At the 2015 Frankfurt Motor Show, BMW i is additionally presenting the complete range of technological concepts that are ideal for everyday charging at home and in the public domain. The most recent innovation is BMW i Light and Charge  a street light from which the high-voltage battery in an electric car can also be recharged. BMW i is providing further impetus by transferring technology to current BMW brand models. All the plug-in hybrid models being exhibited by BMW at the 2015 Frankfurt Motor Show, for instance, employ the BMW eDrive technology initially developed for BMW i cars in the form of electric motors, power electronics, high-voltage batteries and intelligent energy management. Equally, the experience with using industrially manufactured CFRP garnered during development of the BMW i cars has now helped to reduce the weight of the new BMW 7 Series luxury sedans. Further information on official fuel consumption figures and specific CO2 emission values of new passenger cars is included in the following guideline: "Leitfaden über Kraftstoffverbrauch, die CO2-Emissionen und den Stromverbrauch neuer Personenkraftwagen" (Guideline for fuel consumption, CO2 emissions and electric power consumption of new passenger cars), which can be obtained free of charge from all dealerships, from the Deutsche Automobil Treuhand GmbH (DAT), Hellmuth-Hirth-Str. 1, 73760 Ostfildern-Scharnhausen and at http://www.dat.de/en/offers/publications/guideline-for-fuel-consumption.html.